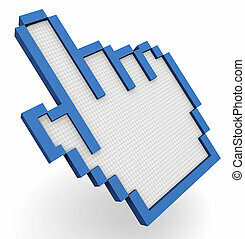 3d button hand cursor - career. 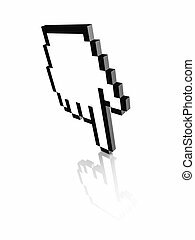 3d illustration of hand cursor pointer and chrome button presentation of concept of career. 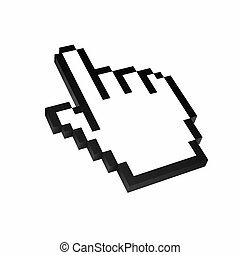 Cursor 3d button set. Vector illustration.